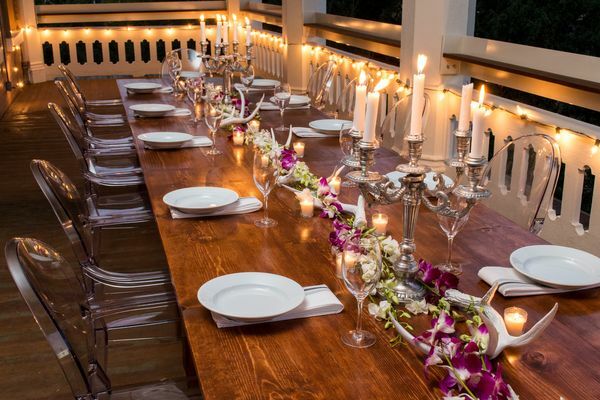 If you're looking for quality outdoor wedding decor rentals, Panacea has it all. At Panacea Collection, we offer a variety of unique wedding décor. 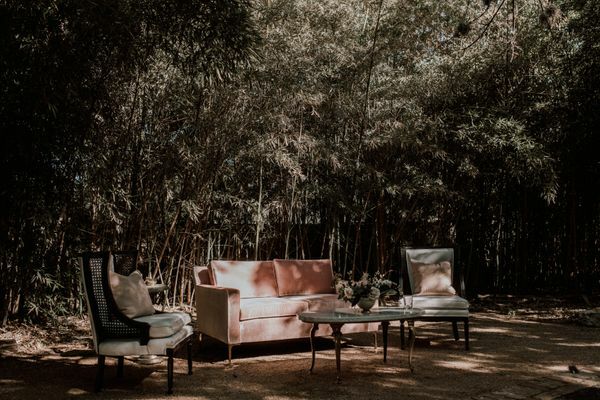 With a combined 40+ years in the event industry, we've carefully curated an inspired collection of event furniture and accessories - all perfect for creating a beautiful outdoor wedding space! Read on to learn more about Panacea, and see some of our top outdoor wedding favorites! From wedding venues to home staging, each piece is selected with expertise and an intimate understanding of the customer's personal style. We love working with our clients to create one-of-a-kind experiences for their special day. 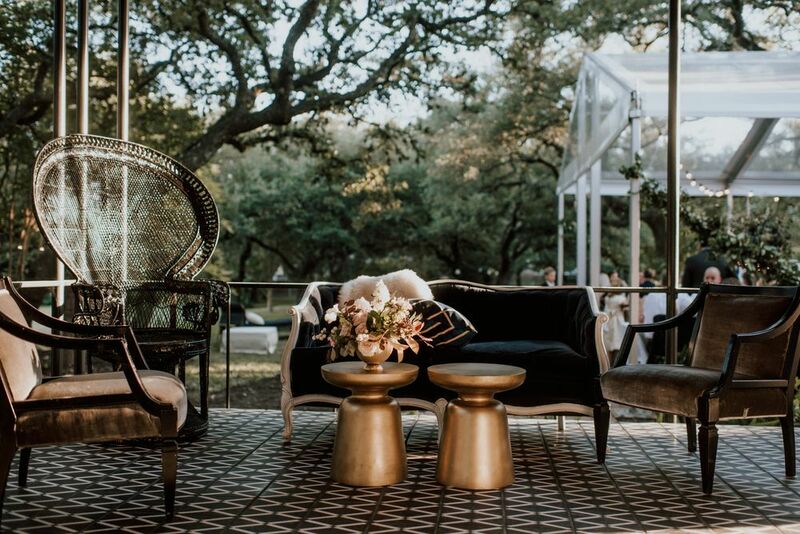 By adding expressive and original furniture to your event, we promise a unique and unforgettable outdoor wedding you’ll remember for years to come. One of today's popular wedding styles incorporates a variety of textiles and natural elements. 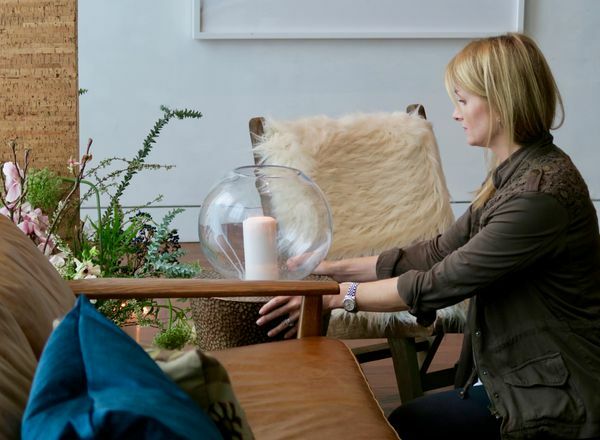 Our stylish yet sturdy Moroccan leather poufs and Casablanca floor seats offer a more organic seating option. 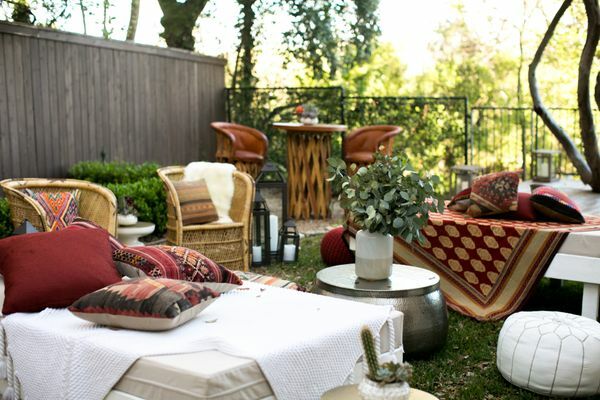 Spread out several poufs in outdoor areas, intimate gardens and gathering places for conversation-starting social vignettes. 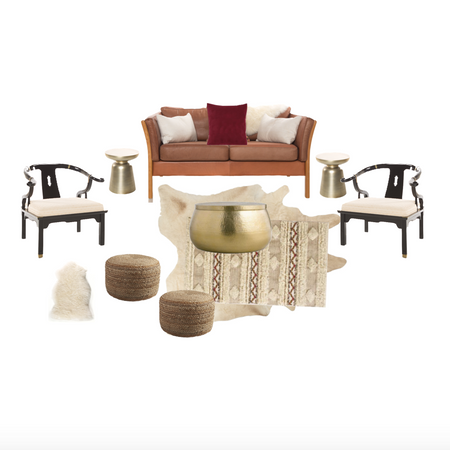 Complete the look with our Marfa cocktail tables, a selection of layering rugs and Kilim pillows, and our Wimberley lanterns with LED candles. 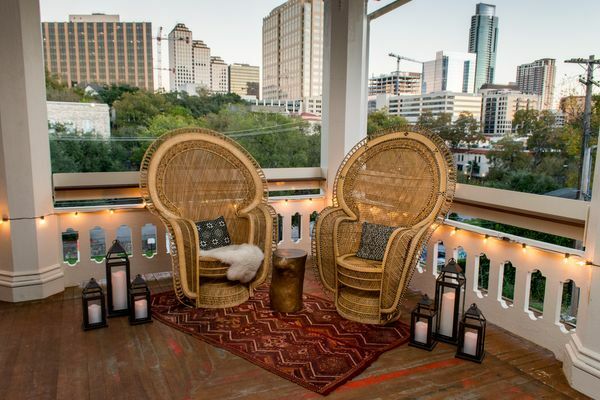 Guests feel right at home in backyard-style wicker and rattan seating where style, comfort, and total relaxation come together. These versatile chairs can be used as photo ops, main seating in lounges together with sofas, cocktail tables, and side tables, or strategically placed for quiet conversations. These vintage chairs have recently made a big comeback and are perfect for any outdoor wedding. With a wide and rounded back, the peacock chair offers bohemian vibes and a touch of elegance and allure that all of the guests will want to take pictures in. To provide an even more finished look, add a fun throw or vintage pillow in your wedding's color palette for a fun pop! Create a social bar area using the barrel-style, wicker Sayulita Chair, the handmade Equipale Bar Set made of cedar bark and leather, and our mid-century teak Draper bar. Placed on large layered rugs, these furniture pieces come together to invite conversations among wedding guests, as well as set-up a stylish Insta-worthy moment. Our farmhouse tables were custom-made with family-style dinners in mind and feature a wide top capable of accommodating 10 place settings, plus platters, floral, and all your tabletop wedding decor. For a low, floor seating option, these tables are available in 16-inch height. 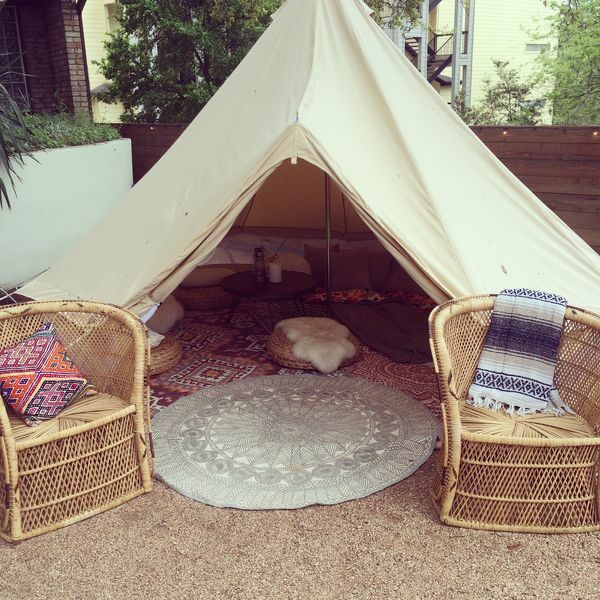 Combine with an assortment of layering rugs, poufs, pillows, and lanterns for a perfect bohemian setting. To help complete your outdoor wedding ceremony decor, we love our Cork Pedestals topped with fresh florals, or our Vintage Trellises covered in ivy and flowers. These pieces make ideal ceremony decor for the alter or for back of aisle. 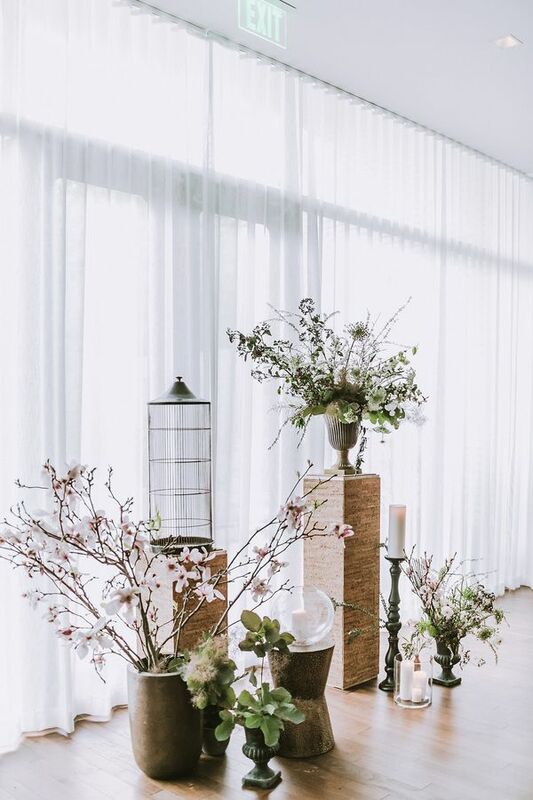 Use some of our layering rugs to define your ceremony space and add in our Wimberley Lanterns to light the aisle. We want your wedding to be the most beautiful day of your life. Create an unforgettable outdoor gathering space with help from one of our dedicated professional event designers. 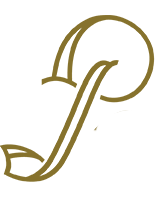 Browse our collection online today, check out or special wedding packages, and contact us for your free quote!